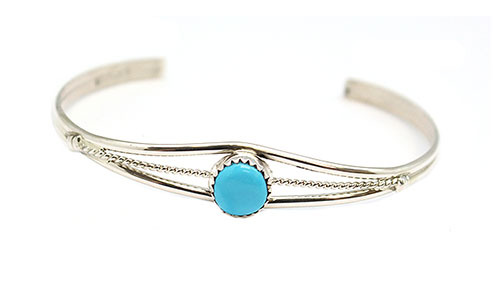 Sterling silver, light weight, half round and twist wire shank with a free form turquoise set in the center. Center measure approximately 3/8" wide and tapers down. It is Navajo hand made by Esther White. Turquoise stone will vary in shape, size and color shade.